What are Miranda Rights, other than a culturally ubiquitous phrase many Americans can begin to recite by heart? The Miranda Rights, or Miranda warning, is a legal statement given by law enforcement officers to suspects in police custody being readied for questioning. It begins by declaring the detained’s right to silence in the absence of legal counsel, and is designed to warn detained people that their statements under detention can be considered admissible in court proceedings. While “Mirandizing” by police officers has become a routine part of day to day law enforcement dealings, it only came about as the result of an enormous court judgement that determined a precedent for the nation’s legal system. 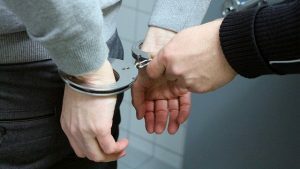 As of 2017, the Miranda warning has only been in action for 51 years. Ernesto Miranda was arrested in March of 1963 and charged with the sexual assault and kidnapping of an eighteen-year-old young woman. Miranda was not informed of his right to remain silent in the absence of legal counsel at the time of his arrest or any time during his two-hour interrogation. He signed a typed confession in the confines of the Phoenix Police Department, all without seeing or speaking to a lawyer. The sentencing trial and later appeals brought with them the pivotal change in the procedure now employed daily. While Miranda was still originally sentenced to 20-30 years in jail due to both his confession and circumstantial evidence, it was then that Alvin Moore, Miranda’s lawyer, pointed out the failure of the arresting officers to read Miranda his right to stay silent to avoid self-incrimination. Moore heavily emphasized this point again during an appeal the year following Miranda’s original sentencing. Moore’s point of appeal was hotly contested, but ultimately, Miranda’s case was thrown out and the sentence overturned. The court argued that Moore’s point stood, and that the admissions by Miranda could not be legal under the 5th Amendment clause against self-incrimination without legal counsel available. Furthermore, his admissions of guilt could not be legal under the 6th amendment clause asserting the legal right to an attorney, as he did not know he was legally entitled to a lawyer to begin with. Miranda v. Arizona not only let Ernesto Miranda leave a free man (at least initially, though he went back to jail after being tried again under legal counsel and found guilty,) but set a precedent nationwide that all law enforcement officers must abide by. While other factors like severe intellectual deficits and language barriers still present issues in egalitarian law enforcement, the Miranda Rights remain an important first step towards protecting citizens from self-incrimination by equipping them with the knowledge of their 6th amendment rights.